BOOK YOUR TABLE NOW FOR THIS SELL OUT EVENT! 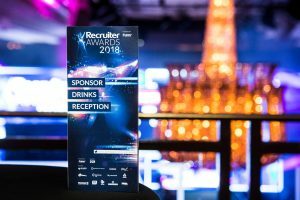 Recruiter Awards 2019 recognises outstanding achievement throughout the recruitment community. 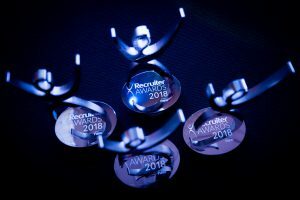 The UK’s most prestigious honours in recruitment recognise best practice and celebrate the great work and achievements in-house, agency and RPO teams, and individuals. 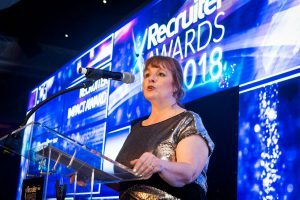 The Recruiter Awards shortlist for 2019 was announced live on twitter using #RecruiterShortlist. Congratulations to all those who are shortlisted! The ‘must attend’ event for recruiters and their suppliers! 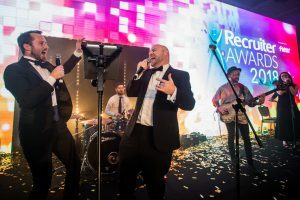 Held at London’s Grosvenor House in Park Lane, this gala celebration is second to none featuring top entertainment, and deluxe dining and superb networking. Recruiter Awards is the perfect opportunity to be recognised for your and your team’s outstanding achievement. We have had the pleasure of presenting awards to some amazing teams and individuals over the past few years. 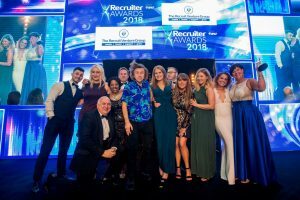 View the winners of the legendary Recruiter Awards. Our sponsorship packages allow you to be a part of the largest event in the recruitment community, offering an unrivalled audience and the best opportunity to boost your brand profile. Take advantage today and find out more. The votes are in and Recruiter’s Charity of the Year has been announced as ASTRiiD. For further information please click below.